There can be few better budget options around Havana, particularly for those seeking a hotel with easy access to the city’s airport, than Hotel Cubanacan Mariposa. Mariposa may be a 2-star hotel, set just off a busy road. However, just yards from that road is a surprisingly lush pool area & gardens screened by thick ranks of trees, where weary travellers can relax on sun loungers under the Cuban sun & never realise they are near one of the main routes to Havana. Indeed, Mariposa hotel is in one of the best possible locations, whether you are a business traveller wanting easy access to both the airport & city, or are looking to explore the island on a budget. The hotel also provides parking for guests. Hotel Mariposa has a picturesque entrance area with a floral open canopy that leads to a wide, modern lobby where there are 24-hour reception services. The hotel staff ensure there is daily entertainment for guests so there is no need to venture out. Mariposa provides surprising quality for a budget hotel. If you visit expecting a 2-star experience, you are likely to be pleasantly surprised. 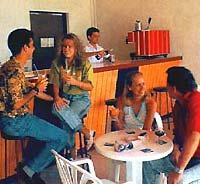 This is a good, basic hotel in a great location to explore Cuba, within minutes of the airport. 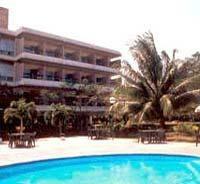 Rooms are all ensuite with standard facilities including air-conditioning, satellite tv & fridge. 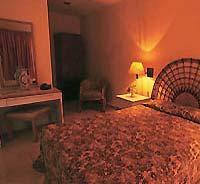 The décor is slightly dated but the rooms are clean & comfortable, with 17 rooms overlooking the hotel’s gardens.